The days are getting darker, the mornings frostier. Yet touches of light and warmth are finding their way onto the streets in the form of Christmas lanterns and stalls selling mince pies. It’s now time to think about sending out all those cards, well-wishes and presents. Starting as early as November, Christmas is a whole season full of little pleasures—much more than one single day. Something to truly relish in is the act of accessorising your home for the festivities. With our simple tips and tricks, you’ll be inspired to coordinate your interior décor seamlessly with your Christmas celebrations. If, like many of your peers, you’ve already flown the nest and settled down into a student flat, you’ll have to wait until term ends before being able to celebrate Christmas with your family. All the more reason, therefore, to embellish your uni flat with affordable and original accessories. Be it in your bedroom or your communal living room, there’s never too much festive spirit to go around! Our suggestions? Spoil yourself to a chocolate Advent calendar and be rewarded with a sweet treat every morning. Or invite your friends over for mulled wine and hot chocolate, and make some colourful origami decorations. Fancy something even more creative? 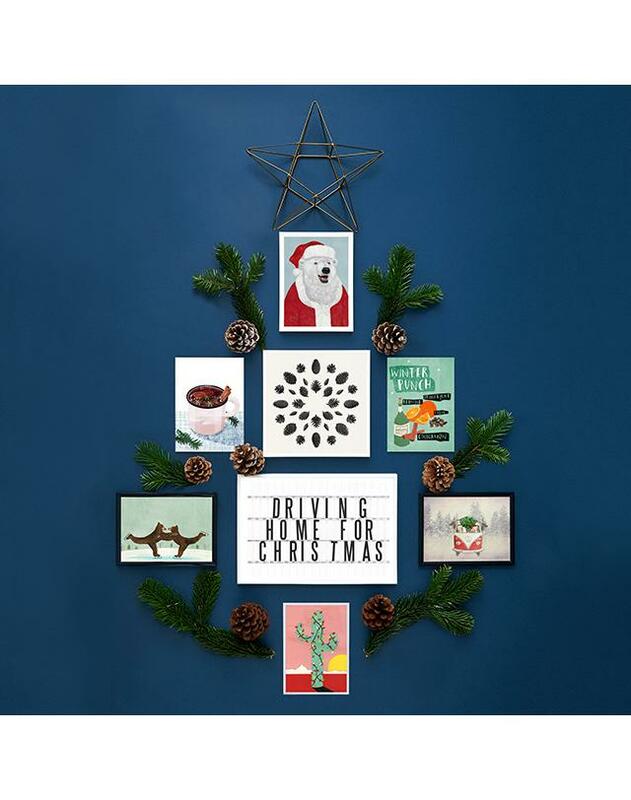 Arrange your mini wall art into a pyramid shape that resembles that of a Christmas tree. 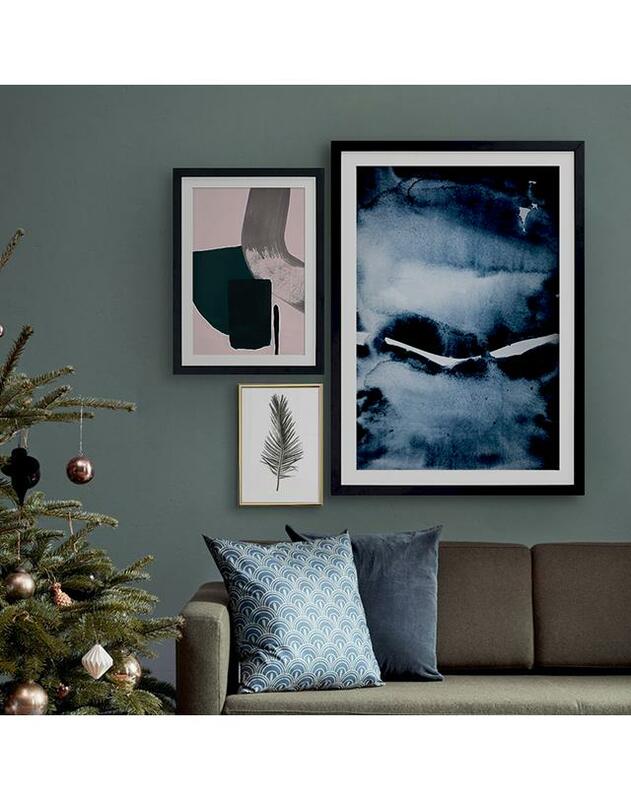 By perfecting your wintery interior in this way, you’ll not only have the chance to express yourself artistically, but you’ll also be very proud of the results achieved in your home. This year, you’ve decided to enjoy some alone time with your significant other. You’re both longing for a space that has a special sense of romance to it—think hot cabin fever in the style of a cosy forest lodge. Such a backdrop would provide the perfect environment for rediscovering everything that ignited your initial flame. As we see it, this nostalgic ideal is best fulfilled by the design concept wabi-sabi—a philosophy of life which places emphasis on simplicity, natural beauty and the appreciation of imperfections. At Christmas time, there’s nothing more simple and naturally beautiful than some potted poinsettias, hanging mistletoe, and recently-collected pine cones scattered throughout your home. Can you imagine a more charming environment in which to celebrate your mutual devotion? If you wish to make the festivities more special than ever, we’d recommend adding a botanical-themed poster Advent calendar to the mix; you’ll not only be able to countdown to Christmas, but also collect stunning artful posters that you can arrange and hang up whenever the mood strikes you. To finish off your rustic fairytale dwelling, combine some fragrant candles with Christmas decorations in warm golds, reds and earthy-greens. All’s left now is for you to cuddle up with your sweetheart, lay back and admire the fruits of your decorating endeavours. Since you became a parent, Christmas has become more magical than ever before. The best thing about this season? Seeing that sparkle in your children’s eyes as you include them in the preparations for the most exciting day of the year. While you usually opt for more classic Christmas décor, you can easily adapt it to accommodate all the endearing handmade trinkets that your little ones bring home from school. On your Christmas tree, for example, you can combine colour-coordinated baubles with your kids’ classroom-made figurines. This’ll give your living room décor a childlike charm that no amount of money can buy! 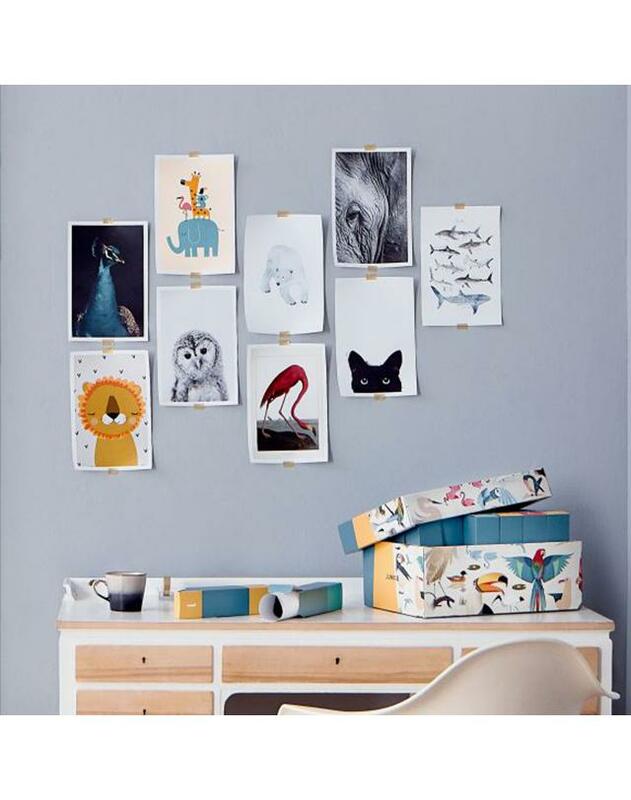 We also propose that you give your little ones some space where they can display their arts and crafts by themselves. While you carefully select your preferred colour of tinsel, let your children take over a wall in their bedroom or the living room, where they can proudly arrange their classroom-made decorations. Throw in an animal-themed poster Advent calendar to play around with, and your bambinos’ decorative spirit will be sure to roam wild and free. The result? A homely, family-oriented interior that’ll bring a smile to any visitor’s face. Inspired by our designs? Find them here. Aim For the Moon, Red Berries 2, and Fairytale Lights. Polar Bear Santa, Glühwein, Spirit, Glühwein, Coworking, Cinema No.12, Never Stop Exploring, and Christmas Cactus. Minimalist Painting 02, Watercolor 6, and Leaf Study 3.